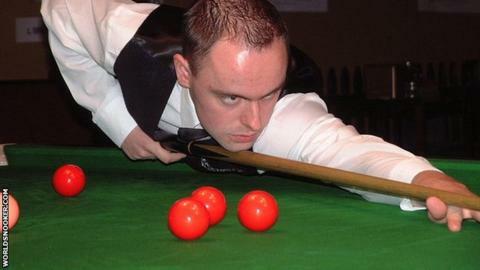 Snooker player Lee Spick has died at the age of 34. The Mansfield-based former world number 65 was being treated in hospital for a liver-related illness. Fellow former Nottinghamshire-based tour player Gary Wilkinson told World Snooker: "He was a lovely lad but lost his way recently. "He was very talented. We practised together and became mates. It's sad that he never achieved what he could have done." Spick was a professional from 2000 to 2010 and, after dropping off the tour he retired in 2012. He returned to the tour for the start of the 2013 season by winning Q School, but only played in two tournaments. Spick was a former English Under-15 champion who twice came within one round of reaching the World Championship, losing to ex-world champions John Parrott and Steve Davis in the final qualifying round of 2006 and 2009 respectively. He won one non-ranking tournament and reached the last 48 of ranking events on five occasions. Masters champion Shaun Murphy said on Twitter: "Absolutely devastated at the news of Lee Spick passing. Really don't know what to say. I just hope his family will be OK. Rest in peace Lee."